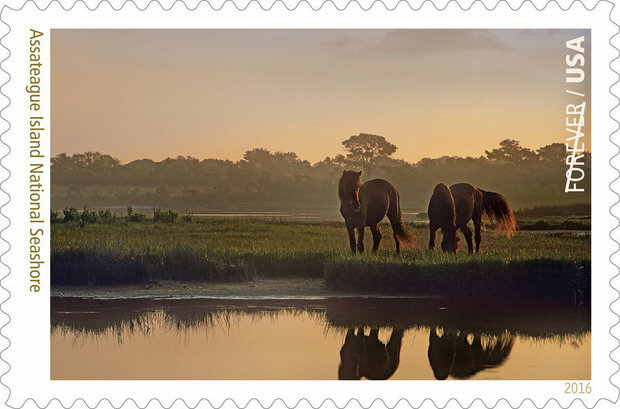 Assateague Ponies star in new Forever Postage Stamp! 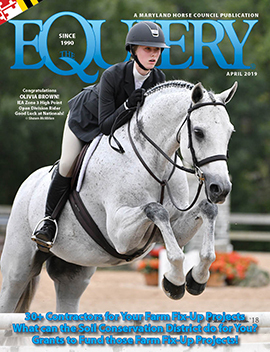 Well, we know that this little stamp is going to be a hot commodity among our readers! And The Equiery plans to completely buy out the Lisbon Post Office! 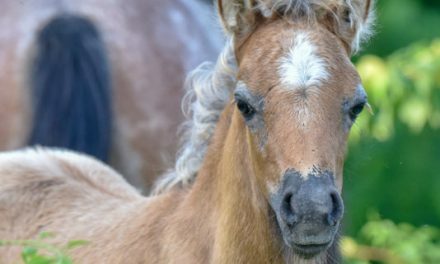 Maryland’s wild ponies of Assateague Island are featured on the 3rd of the sixteen “Forever Stamp” images, which are being revealed this month to honor the National Park Service’s 100th anniversary. Assateague Island National Seashore is part of the National Park Service. A photograph by Tim Fitzharris of Fayetteville, AR, was used to create the image. The June 2 first-day-of-issue ceremony for the National Parks Forever Stamps pane will take place at New York City’s Javits Center at 11 a.m. as part of World Stamp Show-NY 2016. Dedication ceremonies also will take place at or near each of the National Parks depicted on the stamps, so The Equiery will keep you posted as to when and where our stamp is celebrated. The United States Postal Service is attempting to promote the release of these stamps by using the following hashtags: #NPSStamps, #FindYourPark and #NPS100.